India’s longest running reality show on the biggest youth entertainment platform ever and the most social show in the world, Roadies will now be titled Renault MTV Roadies X4 as India’s fastest selling SUV, Renault Duster has zoomed in to become the title partner for the iconic show. After twelve fantastic seasons filled with adventure and drama, MTV, the ultimate word on the youth, is back again with an all new adrenalin fueled season of its cult youth reality show. The most popular youth reality show in the country is taking a massive format leap in the new season this year. For the first time ever in the history of Roadies, gangs and gang leaders will be seen blazing trails in ultra-cool Renault Duster SUVs. To celebrate this shift from 2 to 4 wheels MTV decided to go from Roadies X2 last year to Roadies X4 this year. As the undisputed No.1 rated youth reality show which grew by 50% in viewership over the previous season last year and generated 60 MM online video views with close to 10 MM highly engaged fans on social media, Roadies has always reflected the aspirations of the Indian youth. By partnering with Renault Duster, it shows how young India aspires to drive a super cool SUV and has the income to match their aspirations. The mantra of ‘live big, dream bigger’ drives the youth of today and what you drive makes a very powerful statement about who you are. This move by MTV thus reflects the power of the youth of India. Continuing its endeavor of keeping the youth deeply engaged, MTV is shaking things up in this brand new season of Roadies by moving the journey from 2 wheels to 4 wheels as gangs will be seen zipping along in SUVs – the amazing Renault Dusters to be precise. The SUVs will be seamlessly integrated into the fabric of the show through interesting content innovations. Along with adding a whole new element of drama and excitement to the show, the winner of Renault MTV Roadies X4 will also get the opportunity to drive home in his or her very own Renault Duster. Renault Duster is a cult brand in the automotive space, like MTV Roadies is, in the realm of reality television, and is equated with exploration, adventure and unmatched passion. 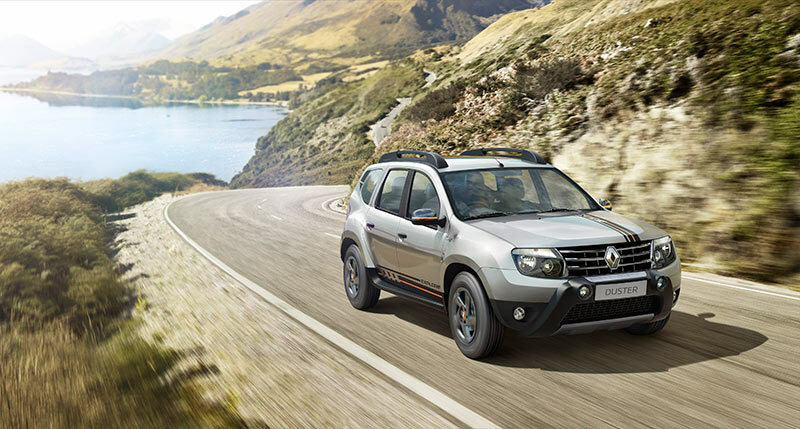 We are young in India and Renault Duster has firmly established the Renault brand here. When we launched Renault Duster in India, we created an all new segment in the Indian automotive industry. As a forward-looking company, we have kept Renault Duster fresh and contemporary, and it continues to be India’s preferred SUV. This association will be a thrilling journey for fans of Renault Duster and MTV Roadies, and will take the excitement to an all new high. Becoming a Roadie is the ultimate dream of so many – the thrill of an unknown journey the open road, challenges that build character and a path for a bright future – it means something different to each and every one aspiring to it. However, what stays the same is the passion and the perseverance to achieve that ultimate dream. With Renault Duster on board this journey has become all the more desirable and nail-bitingly exciting.